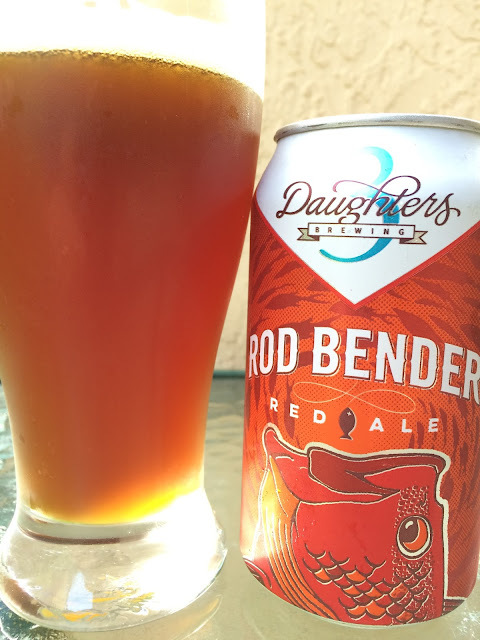 Today I'm checking out a can of Rod Bender Red Ale brewed by 3 Daughters Brewing in St. Petersburg, Florida. The can depicts a good-sized fish being pulled from the water, presumably for dinner, and presumably the "Rod Bender." 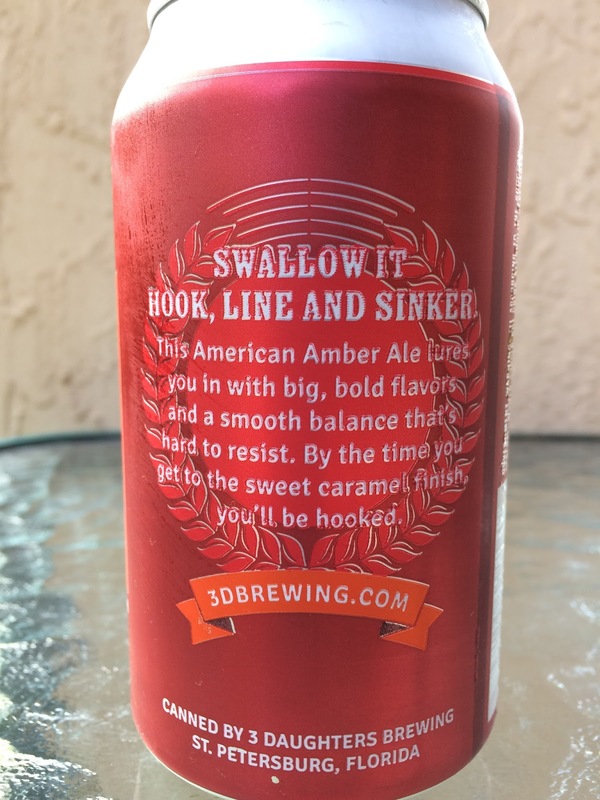 The story on the back of the can titled "SWALLOW IT HOOK, LINE AND SINKER" suggests we'll be lured in then hooked by the finish! 5.9% alcohol. 23 IBU. Sweet, malty caramel aroma. Flavors follow with some pleasant caramel sweetness. Pretty one-dimensional though the flavors are good. Not too sweet either. Simple easy drinker.